DZUS turnlock fasteners are a quarter turn fastener used to secure the skin panels on aircraft and other high-performance vehicles. They require sustained torque to unfasten thus helping to eliminate the effect vibration can have on their loosening. 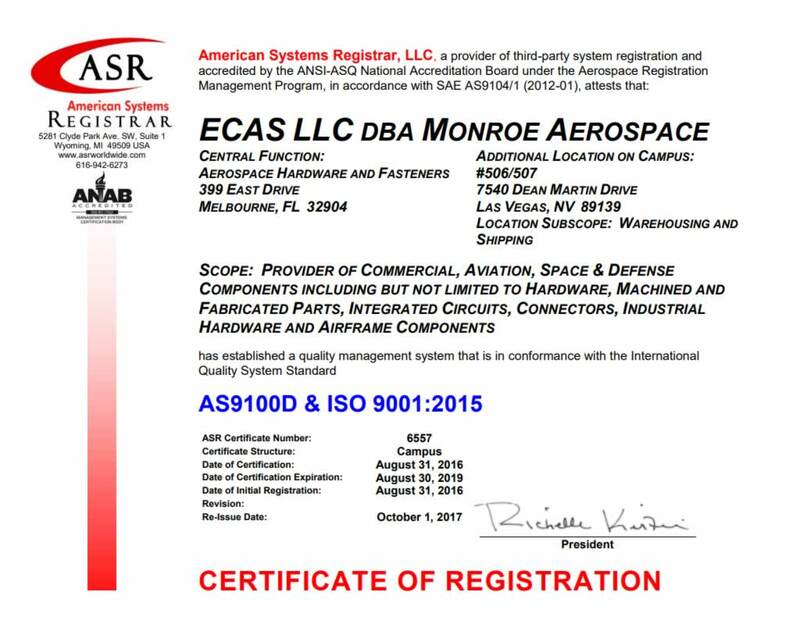 DZUS fasteners are named after their inventor William Dzus.Monroe Aerospace is a stocking distributor of Aerospace and Mil-Spec hardware. We have an extensive inventory of DZUS products. Every part that we sell is in Factory new (FN) condition and we provide our company’s certificate of conformance for all parts on every order. See below for our products.